I’ve had this little number in my queue to try for some time now and with the holidays just around the corner–what better opportunity! It was pretty simple to come together and were beautiful when proofed and baked. I decided to add to the original recipe by sprinkling the rolls with Maldon Sea Salt flakes before baking. 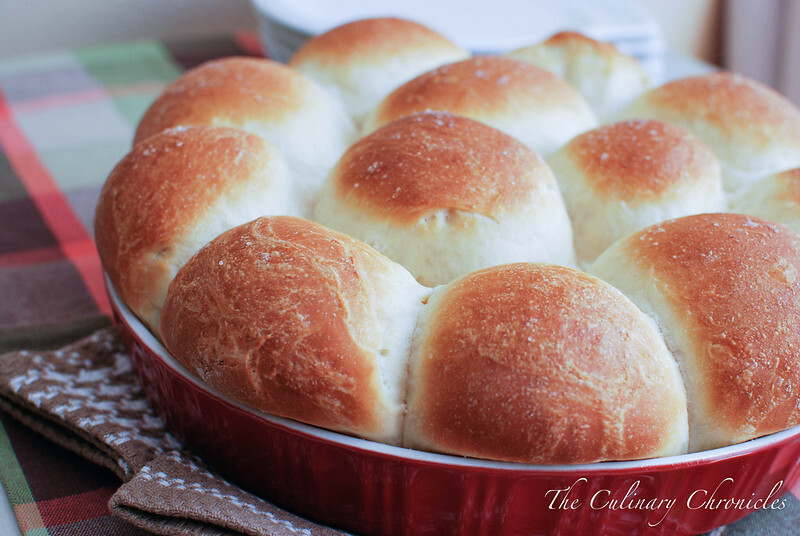 It added a great flavor and texture to the slightly sweet rolls. YUM! 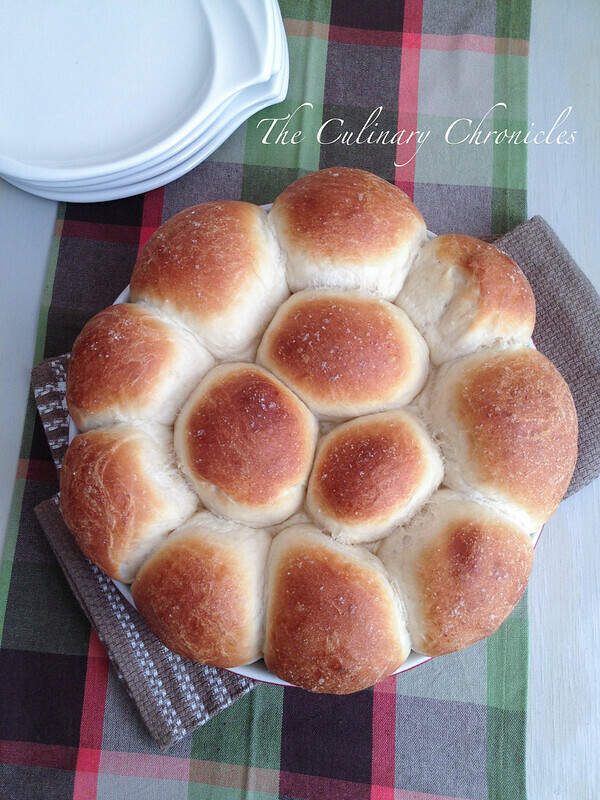 I made this batch of rolls to accompany a few roasted game hens but they would be great alongside stews/soups, buns for mini sliders or simply slathered with butter. Whichever you choose, I would highly recommend trying them out. In the bowl of an electric mixer fitted with the paddle attachment, combine the yeast and warm water. Add ¼ cup honey, oil, salt, and egg and mix well. Add 3 cups of the flour and mix until the dough comes together in a sticky mass. Switch to the dough hook and, with the mixer on low speed, incorporate the remaining 1 cup of flour. Continue kneading on low speed for about 8 minutes, until the dough is smooth and elastic. Preheat the oven to 400˚ F. Mix together the melted butter and 2 tablespoons honey, and brush the tops of the rolls with the mixture. Sprinkle the tops of the rolls with the sea salt. Bake for 15-20 minutes, or until the tops are golden brown and the rolls are baked through. Let cool slightly before serving. Previous Post Lobster Macaroni and Cheese because it’s my Blogiversary!